Candace Lately: Morgantown Farmers Market - new vendors! The Morgantown Farmers Market is BACK, and there are two new vendors this summer! First, High Country Creamery is a cow cheese vendor. They were around during the winter markets, and they're sticking around for the summer! I've sang the praises of their cheese curds - so good. They now have dill and pepperjack curds! Next, Patty's Pastries has bread, donuts, bear claws, pepperoni rolls and pizza crusts! 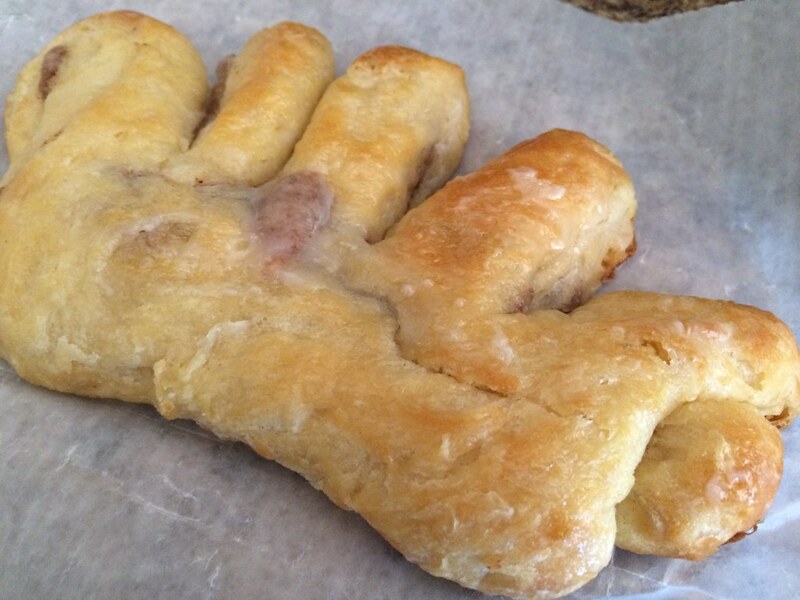 I had to snag a bear claw - ribbons of cinnamon throughout were so good. Be sure to check out the markets! Saturdays at Morgantown Market Place at 415 Spruce Street from 8:30 a.m. to noon!